Mohamed Abdelkarim lives and works in Egypt. After he had written his Master’s thesis of knowledge engagement at ECAV, Switzerland 2014, Abdelkarim turned toward producing text-based performances, and become committed to performative practices across multidisciplinary research, concerning the perception of narrating, singing, dancing, detecting and doing. His practice engages with these actions through the focus on travel, locomotion, renegades history and picaresque literature, where a series of non-linear, serendipitous encounters with concepts, fictions, almost truth and what is known as historical facts, are gathered to form a script and an archive of events and stories. In this context, his practice aims at producing narratives and expose the way narratives are produced. 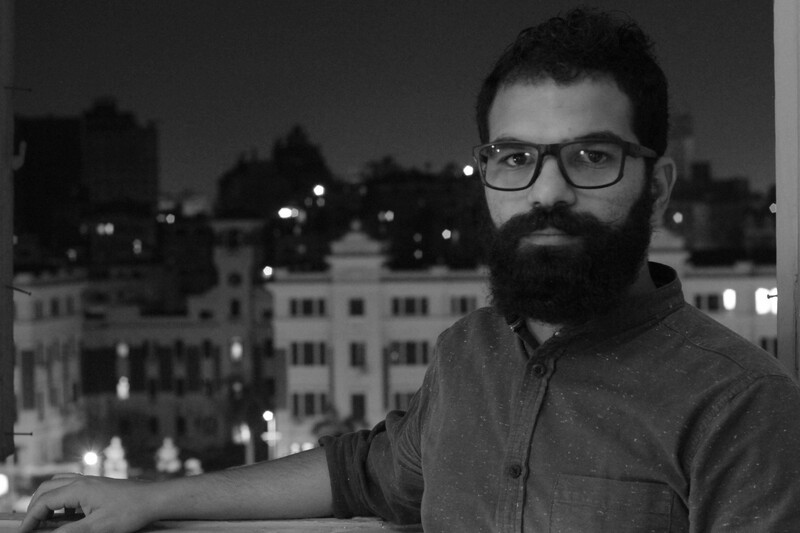 As part of his performative practices, Abdelkarim established a project "Tadbikat" as a performative project that brings together (and synthesises across) lectures, debates, group readings, critical responses, and creative quests, alongside with organising performance nights under the title of "Live Praxes."